Winslow Township has a plethora of sites and attractions for locals and tourists to enjoy. Whether you are into excitement or relaxation you’ll find it in Winslow. Whether you are enjoying the Clementon Park and Splash World or the Glassboro Wildlife Management Area a toothache is an annoyance you may not want to deal with. While it seems like something to ignore if you are out of town, it is vital to have it checked out to prevent further damage. Winslow has many options when it comes to general dentists and specialists local to the area. You can feel confident you will find just what you need. Emergencydentistsusa.com has put together a list of dentists and specialists in the Winslow area. Here you can find a list that includes general dentists to specialists such as cosmetic dentists, orthodontists, periodontists, and more. All you need to do is look through the list, choose a dentist, and call and schedule your appointment. If you need to find a dentist and want further assistance, do not hesitate to call our toll-free dentist finder hotline. Our hotline team has been trained to listen to you. They will assist you in finding the dentist or specialist you need. We understand the stress of finding a dentist while you are out of town and have worked to reduce that. Our team is here to help you through the process and can even schedule your first appointment for you. We recommend that you go to the dentist’s office 15 minutes ahead of time to fill out any new patient paperwork. Bring your ID, insurance card, payment method, list of allergies, and a list of your current medications. Whether you are new to Winslow, NJ, or are just in town for a visit when a toothache starts, don’t worry that your options are limited. There are many dentists and dental specialists from pediatric specialists to oral surgeons available. Before you go to see a specialist, you will generally consult with your general dentist first. If he or she determines you need to visit a specialist, you will be referred to one. Description: Williamstown Family Cosmetic Dentist has been providing care for over 42 years to Williamstown and surrounding area. We work to provide the best dental care in a patient-oriented fun environment. Our office is state-of-the-art and has the latest technology. We provide a wide range of services from dental implants, whitening, orthodontics, and more. We look forward to swerving you. Description: The dental office of Dr. Monica Singh and Dr. Frank Trifiletti are always accepting new patients. We are here to help you find your smile. Our office offers a wide array of services including dental implants, whitening, and much more. Our friendly staff is here to help make your visit affordable and comfortable. We look forward to serving you. Description: Pierson Dental Associates takes the time to listen you you and your concerns. We work to provide you with the personalized care you deserve. We offer appointments in both early morning and late in the evening. Our emergency care is top notch. We offer a wide array of services from general to orthodontic. We look forward to seeing your smile. Any tooth pain is cause for concern. Tooth pain that lasts longer than an hour or two needs to be seen by a dentist as soon as possible. Any pain that is caused from an accident should be first treated at the nearest ER to rule out any further injuries. 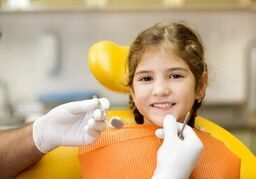 The first step before visiting a new dentist is checking that their license and credentials are up to date and active. You can visit the New Jersey Dental Association website and search the doctors name to find this information.